Oooh, Shinies! : Femme Fatale Cosmetics - 7 polishes swatched! It's a big post, so please click below to see more of them! 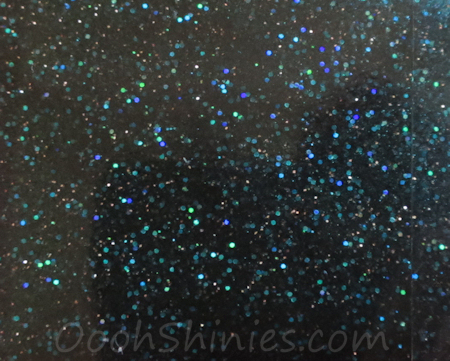 Alone in the Darkness is described as "a dark teal microglitters with luminescent purple shimmers", but I just think of the hardest way to kill Yoggy, haha. Either way, it's a gorgeous polish that covered in 3 thin coats. Shown with top coat here. 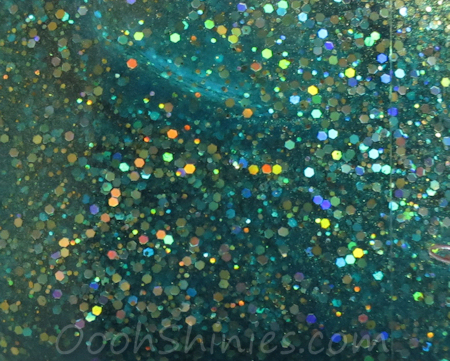 I love the subtle colorshifts from the shimmers! Because the Femme Fatale website is in the process of changing their website, I'll add direct links to these polishes. You can find Alone in the Darkness here. 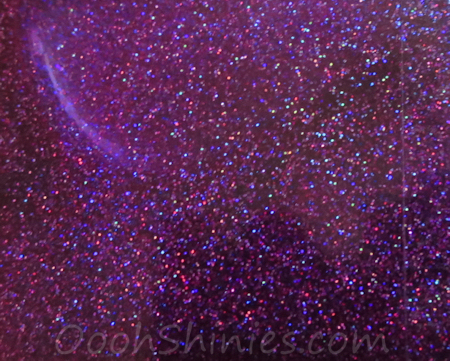 Brain Link is described as "a deep magenta crelly with blue shimmers and flakies". 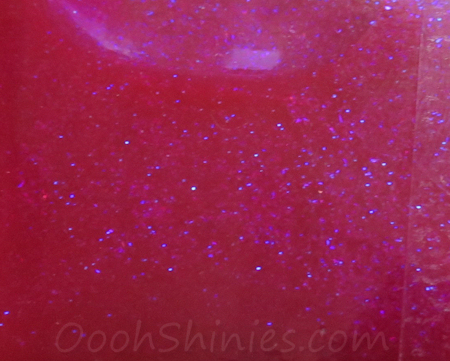 It's a very bright pink and especially the blue shimmer stands out, one of those fun pinks if you ask me :) Again 3 coats, with top coat. You can find Brain Link here. 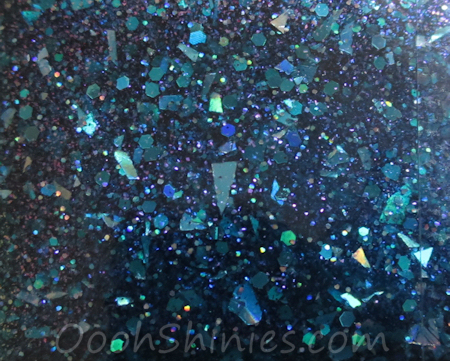 All Sanity is Lost (which was as bad ingame as it sounds, haha) is described as "a dark teal glitter filled with silver holo & shards, red shimmers and teal highlights". It looks slightly lumpy on the macroshot, but that's just because it's a macroshot, heh. It gave a smooth result with 3 thin coats and 1 layer of top coat. I just love looking at bottles with polish like this, it's so mesmerizing! You can find All Sanity is Lost here. In His House He Waits Dreaming is described as "a medium brown with turquoise shimmers and microglitters, with silver highlights". It has a sheer brown base, but it builds up nicely with 3 coats, and is shown with top coat here. The brown isn't showing as well in the bottle as you can see, but on the nail it's much more visible. You can find In His House He Waits Dreaming here. Stand in the Clouds is described as "a sheer aquamarine-green base with strong golden shimmer and golden microglitters". It's again 3 coats with top coat. 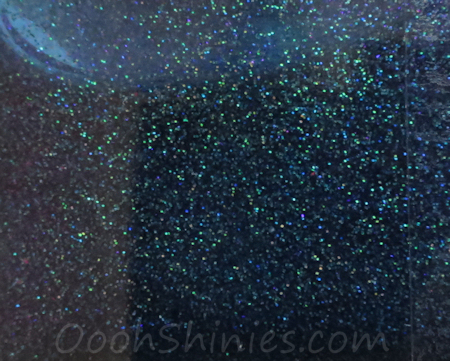 When I think of the clouds ingame, I think of yellow/green clouds that sometimes glow, and they ain't sparkly, but this polish really matches its name! I'm just glad they didn't look like this ingame though, I probably wouldn't have been able to resist running into them, haha. Sparklyyy! You can find Stand in the Clouds here. This was 3 thin coats, and it does dry a little gritty, so it needed the top coat that I used here as well. You can find Touch of Madness here. 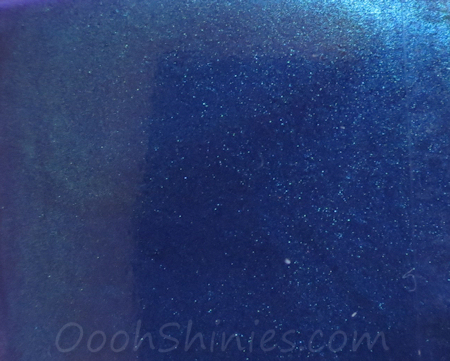 Under the Waters is described as "a sheer blurple with soft turquoise-blue shimmer". It build up well as you can see, this was 3 coats with top coat. You can find Under the Waters here.